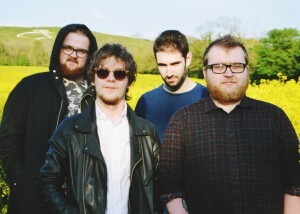 No More Castles set for debut performance at this years festival! So guys this is your first year performing at Ashford Festival in The Park, are you looking forward to it? Jack (Lead Guitar) – Yes it is. We’re super excited, we absolutely love playing festivals because you perform to people who aren’t necessarily there to see you, which makes it interesting. On a personal note, I generally love playing gigs outside – I hope it’s sunny! George (Drums) – Yeah we’re looking forward to it. To be honest its especially nice to be gigging again, as we haven’t for a while! Tell us more about No More Castles, what can we expect from your set? George – Melodic & lots of riffs! Jack – Well, our description is, “rock: sometimes beautiful, sometimes ferocious,” so at points it does get loud…a wall of noise, some might say. But then at times, we utilise heavy reverb/delay on tracks, which creates the beautiful parts. Christian (Bass) – Put it this way, we’ll certainly be a wake- up call if we’re on early! Louis – Bouncy rhythms and big riffs! I have seen you play and think your original music is off the scale! Who writes the songs, or is it a joint effort? Christian – Normally, Jack comes to us with an idea and we take it from there really. I try and chip in with lyrics when I can, but by and large it’s a group effort. Louis – I like to say it is a team effort but I’m sure the other guys would disagree. Most of the time somebody will come up with something in their head and we will jam it from there. Jack – I tend to write most of the stuff, but Chris, Louis and George do have an input on the lyrics for the songs. George is a true champion of turning up without hearing a song, and within one run through he has a drum beat already done for it! You could say it’s pretty resourceful. George – We’ve had times where one of us sometimes just starts playing something, then we all end up writing from that! The Festivals ethos is to promote and nurture local performing arts. How important is it for children and families to watch live music and entertainment? Jack – For children it’s especially important to watch live music, because it influences them for the future. Also, it’s important for the parents to be watching as well so they can see what kind of level their kids can maybe get to – or even exceed – one day. Louis – Very important i’d say. We can all say from our own personal experiences that watching live music has inspired us to make music. George – Well, it gets the kids out of the house! More importantly, it allows them to be inspired I guess, with some sunlight hopefully. Christian – Playing music live is cool, irrespective of whether that’s headlining Glastonbury or playing to ten people. If a few kids leave the festival wanting to pick up a guitar or some drumsticks, then it’s been a resounding success. It is the Festivals 11th year! How important is it for bands like yourselves to have this opportunity to perform locally? 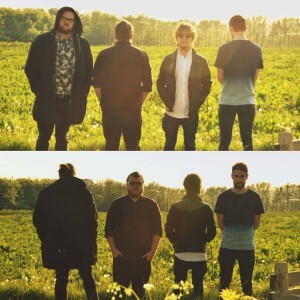 Louis – Well over the years i think Kent’s live music scene has dramatically improved, so for us to make a name for ourselves locally is very important. George – It allows you to make a name for yourself locally, which is always good. Hopefully people like us and tell others about us. Jack – Performing locally is pretty handy, to be fair. It’s not hard to get your mates to come along, and you can have a laugh in the process!